Let's face it, carrying a tablet and a laptop is a nuisance, but thanks to the novel 2-in-1 Galaxy TabPro you can enjoy the best of both worlds without compromise. 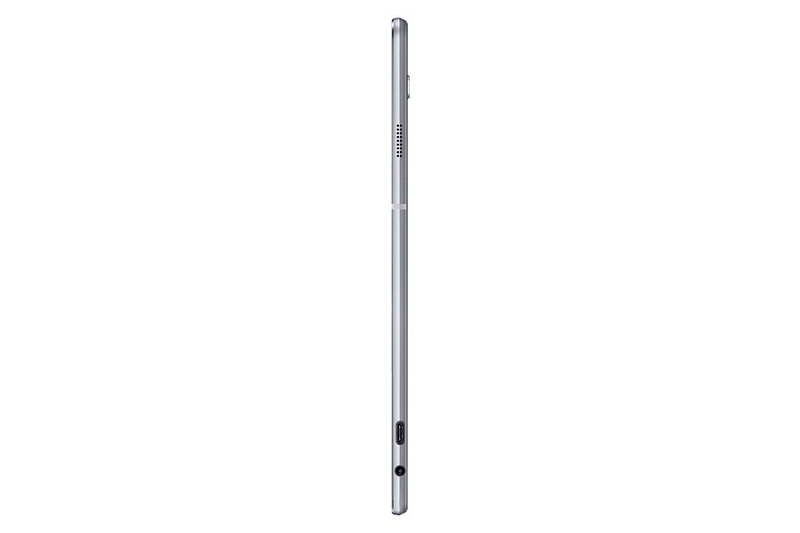 The full HD 12-inch display features a detachable full sized keyboard and sits just 6.3mm thick! It also features Windows 10 Pro pre-installed, front and rear 5.0MP cameras with auto focus functionality, and a huge 10.5 hours of battery life destined to get you through the work day with hours to spare for late night Netflix sessions. 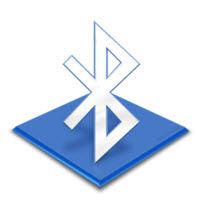 It can even connect to your pairable Galaxy smartphone for secure logins and receive messages, as well as your Xbox One console to stream and play your favourite games! 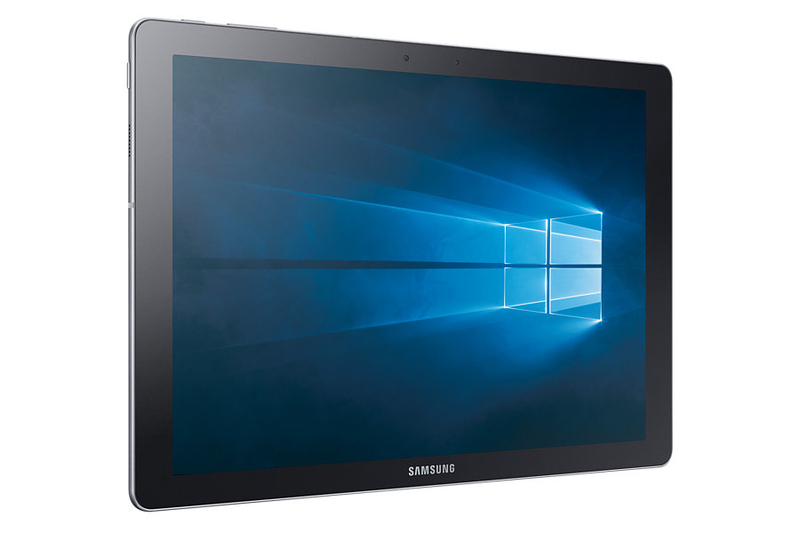 Weighing only 693 gm and 6.3 mm thin, the Samsung Galaxy TabPro S is sleek and lightweight the perfect companion. Taking care of the things you love has never been easier with the included premium keyboard book cover case with every Galaxy TabPro S. Stylish and made with leather-like material, the protective cover will bring your Galaxy TabPro S to the next level while handling lifes wear and tear with purpose and grace. 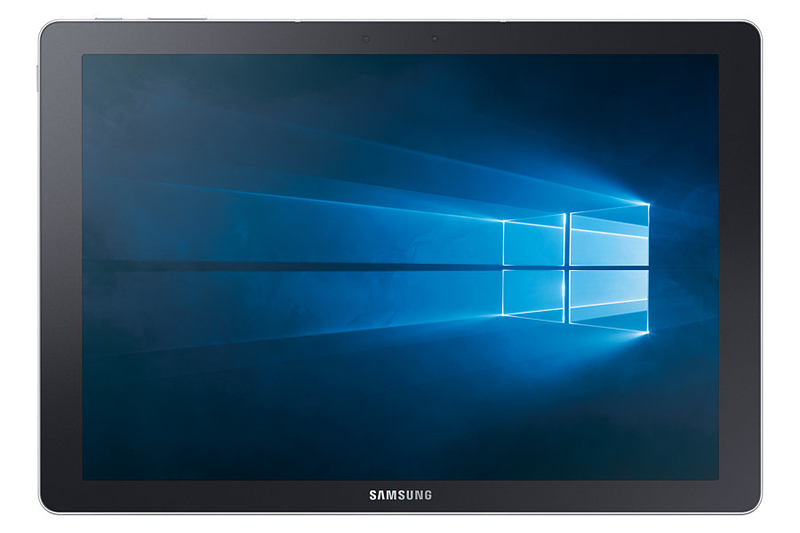 The 12-inch touchscreen is big enough for your Galaxy TabPro S to serve as a functional mobile office. And when you want to unwind, the beautiful Super AMOLED display becomes your very own movie theatre. Colours appear brighter and better on the high resolution display. They're also incredibly accurate so whether you're watching videos or going through photos, everything looks undeniably good. Samsung Flow lets your Galaxy S7 and Galaxy TabPro S work better together. Log in securely using the Galaxy S7 fingerprint reader and NFC. Read and reply to texts and notifications from your Galaxy S7. Galaxy TabPro S also automatically prompts you to tether from your Galaxy S7 if needed. 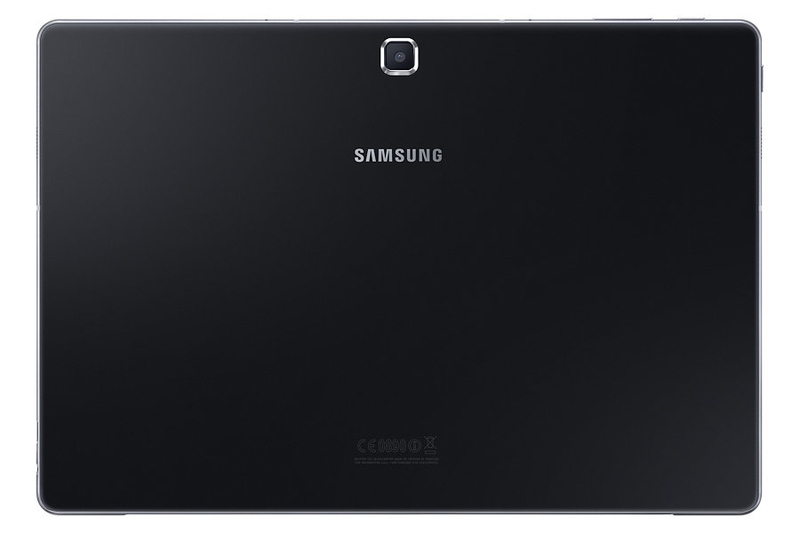 As powerful as a laptop, as mobile as a Galaxy tablet. The Galaxy TabPro S offers the perfect balance between work and play. With a battery life lasting up to 10.5 hours, now you can spend more time working on your presentations or watching videos online without fear of the battery running out. 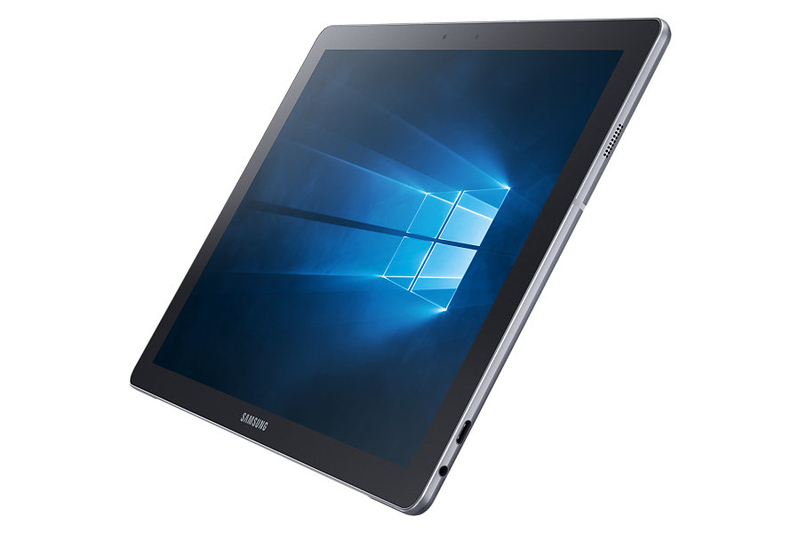 And if the battery goes flat, the Galaxy TabPro S can reach a full charge in 2.5 hours a seriously fast charge. Windows 10 and an Intel Core M Processor is a winning combination giving you the means, power and speed to work and play. 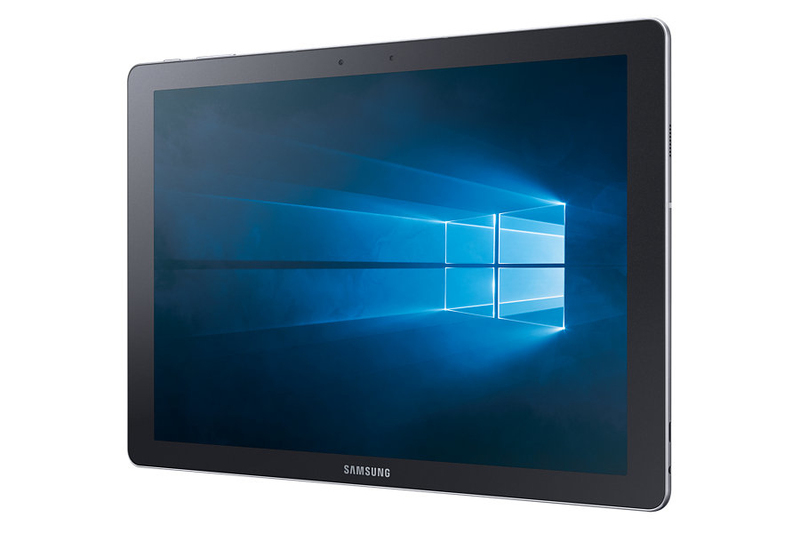 Whether youre a student or mobile professional, the Galaxy TabPro S can meet your productivity and entertainment needs. The included full size keyboard and touchpad enhance your productivity on the go. Youll have little reason to settle for less. Take your gaming from room to room with Galaxy TabPro S. Windows 10 allows you to stream your favourite Xbox One games straight to your Galaxy TabPro S.
Hundreds of thousands of apps right at your fingertips. Whether it's to watch your favourite show, get the weather forecast for your next holiday destination or to learn to code, it's there in the Windows Store.